The S comes with a 2.5L iVCT I-4 engine and offers exceptional handling, with Electric Power-Assisted Steering (EPAS) and traction control. The SE helps ensure Glenwood Springs drivers’ safety, offering available Adaptive Cruise Control and Collision Warning with Brake Support and BLIS® with Cross-Traffic Alert. Drivers can customize their Ford Escape SEL with a variety of packages, such as SEL Sport Appearance Package and 1.5L EcoBoost® Class II Trailer Tow Package. The Titanium allows drivers to ride in comfort with a 10-Way power passenger seat, driver seat memory, and a heated steering wheel. 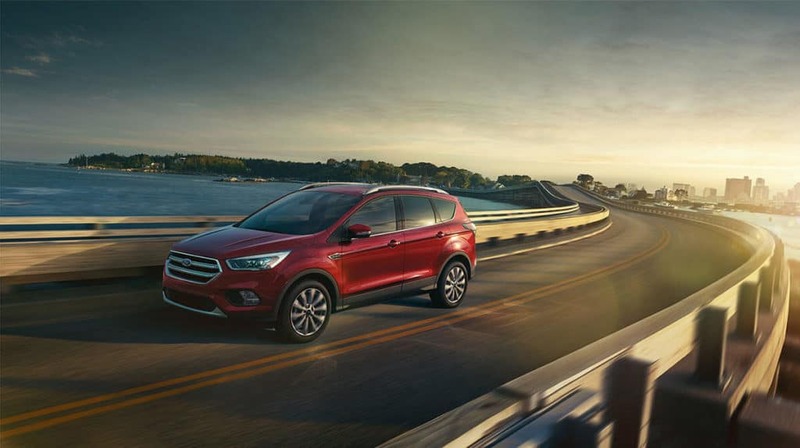 No matter the trim, the 2018 Ford Escape offers seating for 5, with 39.9 inches of front head room, 43.1 inches of front legroom, and 55.9 inches of front shoulder room. Its cargo area is roomy, too. With the rear seats folded, each of the 2018 Ford Escape trim levels offer up to 68 cubic feet of cargo space. What’s more, you can tow 1,500 to 2,000 pounds with the Ford Escape, making impromptu road-trips around Rifle and Eagle easier. Before you visit our dealership, value your trade. Then, contact us to schedule a test drive and to learn about our new vehicle specials. Don’t forget to compare the Ford Escape to other Ford SUVs, such as the Ford Edge!